The world as we know it is changing before our eyes. Recession, depression, doom and gloom, all are creating a lot of fear and confusion. What do I do? How do I survive and avoid becoming a victim of bad economic times? The stress of financial worries presses us to increase our numbers, see more patients, work longer hours. And that puts a lot of additional stress on our own bodies. I know, I’ve been there and done that. When I crashed I hit hard. Literally. One day while adjusting an average-sized woman, my own body caved in and I found myself lying on the floor. (More about that another time.) My point is that I know about stress and I know about hard times. I also know that it doesn’t have to be that way. 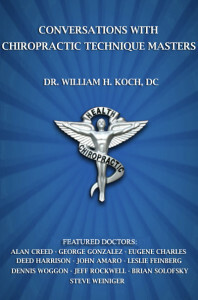 The happy, successful chiropractor of the 21st century will run an efficient practice with minimal dependence on third party pay. He/She will keep overhead low and invest in personal skills rather than expensive equipment. For example, I used to have a big fancy office. I had a large waiting room, reception desk and business office, x-ray with fully equipped dark room, a custom designed x ray reading table and an area designed to do report of patient findings, three adjusting rooms, hi-lo tables, disc traction tables, Pettibon bench tables and a large Pettibon instrument, a receptionist, insurance and billing person, chiropractic assistant, and at various times an associate doctor. Now I have only a waiting room and one adjusting room. I use a flat bench table that I designed and built myself. Besides my hands, I use SOT blocks, and some simple hand held instruments, the VibraCussor® and ArthroStim® made by IMPAC, Inc. With my hands, my blocks and those two instruments I can do everything that needs to be done to take excellent care of my patients. In the following pages I will be talking more about my 21st Century “Patient-Focused Practice” and why you might want to follow my model. Work with passion. Work with joy. And be sure to take some time for fun each day. Right now the surf’s up and I’ve gotta go!